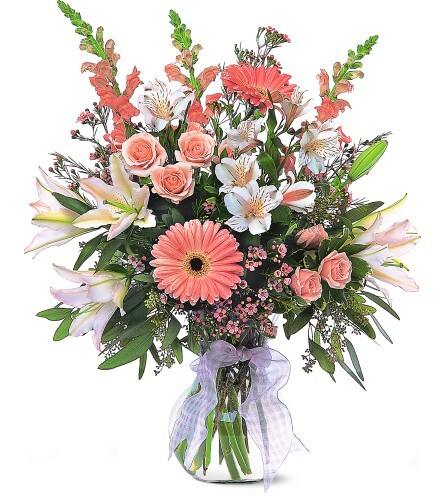 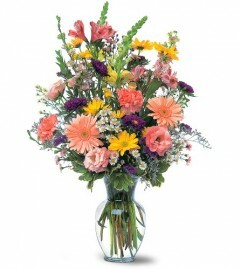 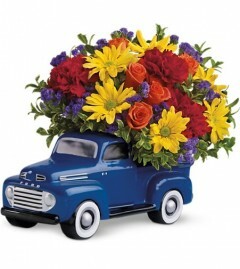 Pink, blue and yellow flowers, this arrangement is perfect to celebrate any occasion! 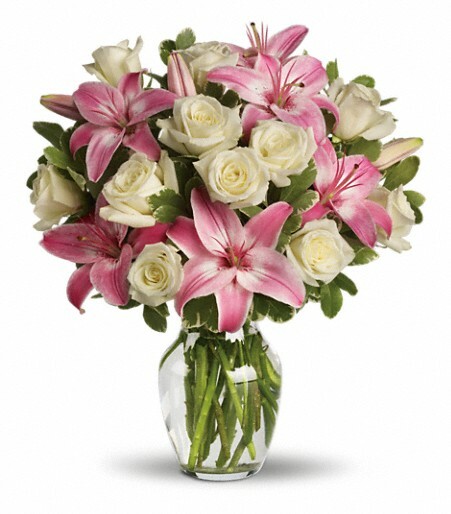 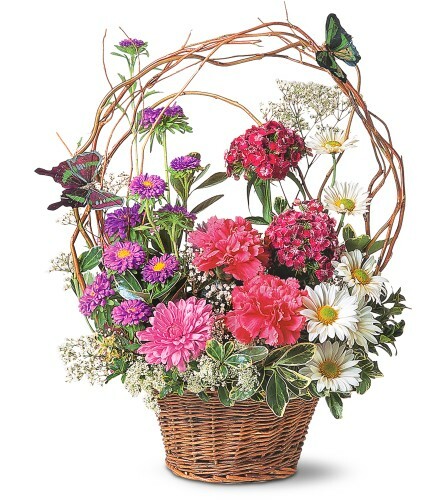 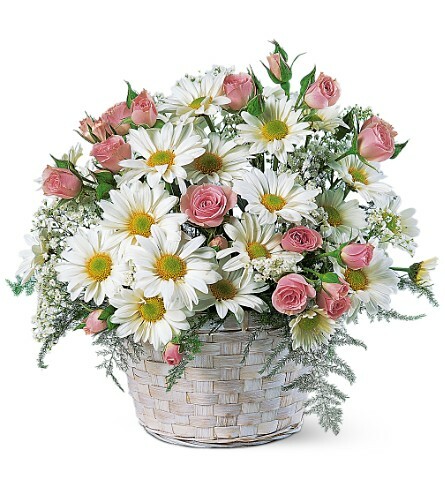 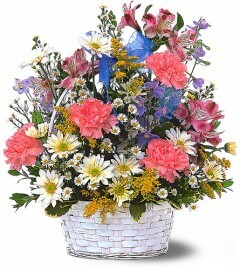 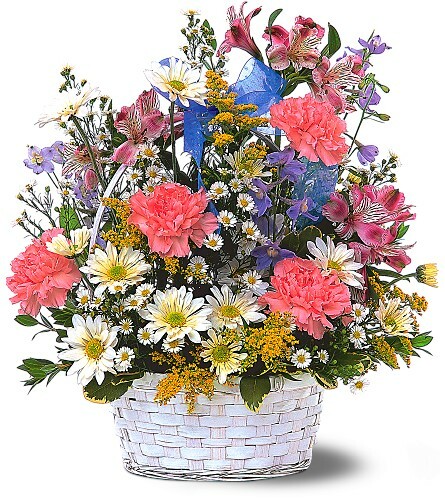 Alstroemeria, Pink.Alstroemeria, carnations, delphinium and asters arrive in a darling white wicker basket with handle. When it comes to welcoming a new baby into the world, this charming arrangement in a keepsake glass block really coos! 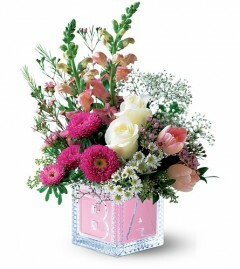 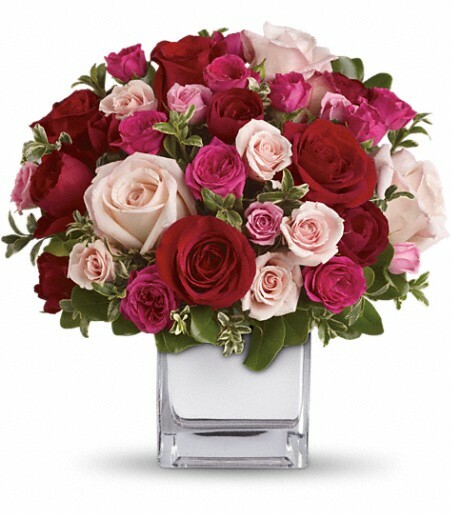 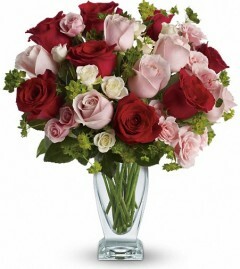 Roses, snapdragons and tulips arrive in a glass baby block. 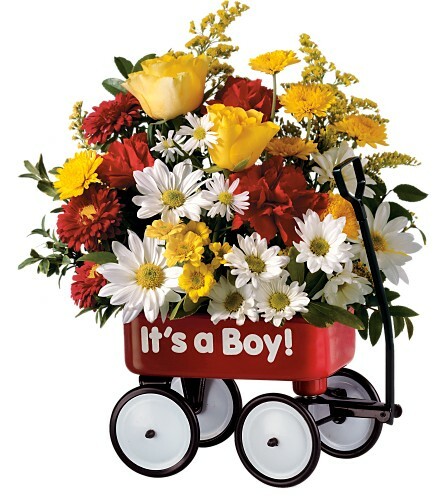 Chrysanthemums, carnations and roses arrive in an adorable miniature wagon. Boy or girl versions available. 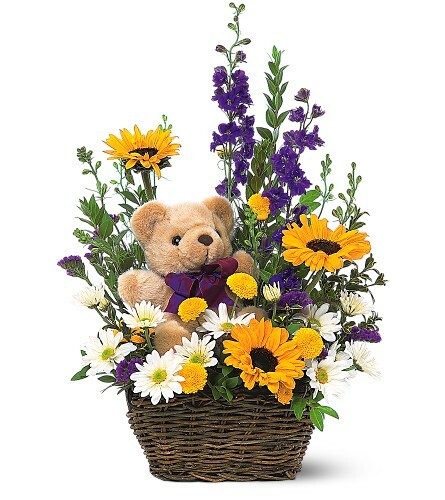 When you go to checkout please mention it’s for a boy or for a girl. 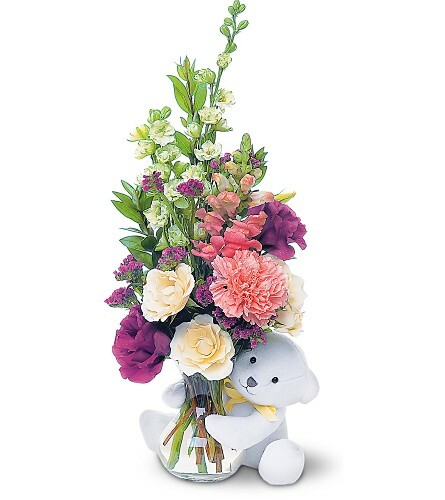 Sending someone a nice big hug is one of the most touching things you can do.Larkspur and roses arrive in a glass vase adorned cuddly bear. What a joy it is to have a boy! 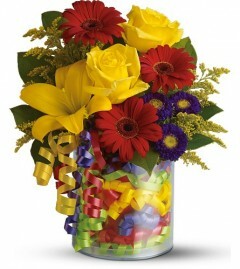 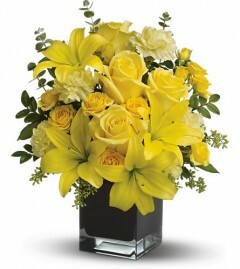 With this bright, stylish arrangement. 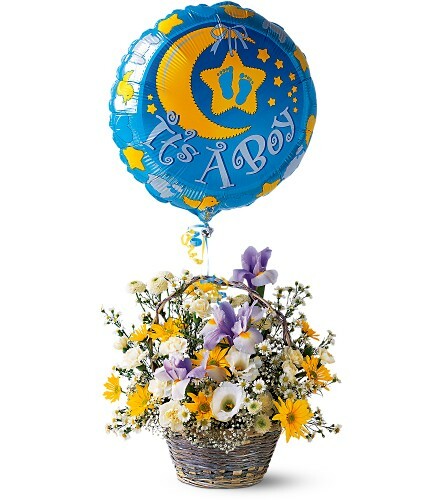 Carnations, chrysanthemums and iris in a darling wicker basket arrive with an attached “It’s a Boy!” foil balloon.